Israeli folks know – loaded hummus is everything. An entire meal can be made from a cozy bowl of warm chickpea puree when loaded with caramelized onion and cumin-laced mushrooms. 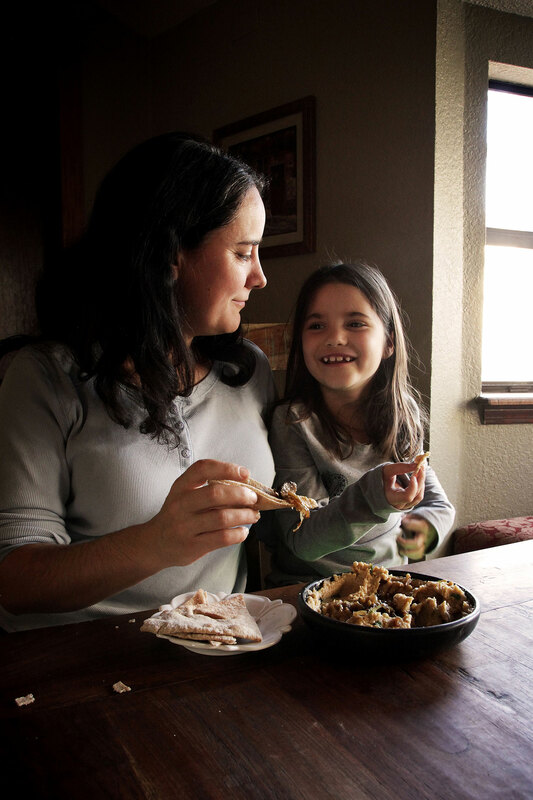 A raggedy pile of pita bread is the exclamation point on this edible yes. 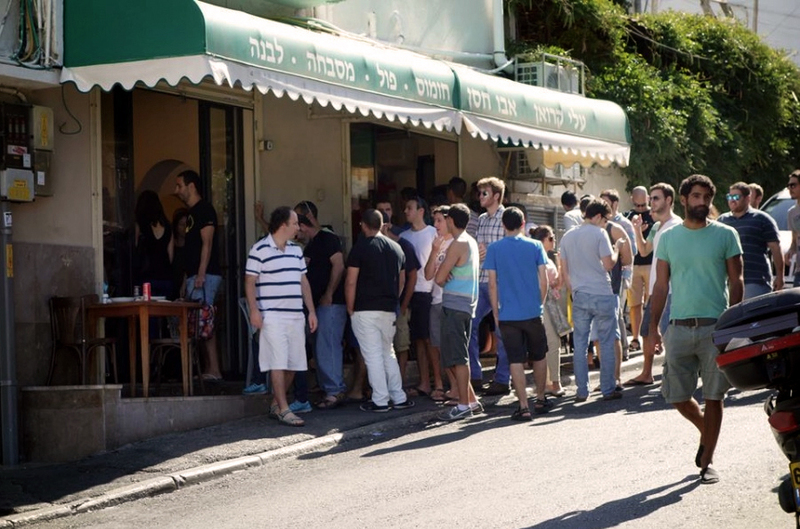 To get your fix in Israel you’d head down to a hummusia restaurant. There you can order up warm or cold hummus with your favorite filling – anything from cooked cauliflower, to ground beef or lamb. You can even find the classic tomato and poached egg dish, shakshouka, in the middle of hummus! But you don’t need to travel to Israel to bring these amazing flavors into your kitchen. Today’s hot mushroom filling is just the warmth a 25F degree freeze calls for, and is a welcome break from the heavy meals (and mountains of dishes!) of the holiday season. Real Talk: I need a cooking win. I’m 100% in the middle of a scary cooking carnival … in the last month of 2015 I made two bad lasagnas (in which the lasagna noodles actually dissolved), one excellent lasagna (finally! ), and a whole lot of Smoking Bishop (in one miserable lapse of attention I managed to boil off all the boozy goodness). Also, I made my first French King’s Cake which leaked everywhere (but was still somehow as delicious as the King’s Cake we made from Liechtenstein). Today, I’m too tired to cook elaborate feasts, but too cold to snack on the chilly leftovers lingering in the back of the fridge. It just so happens that my 2016 Vision Board includes a mushroom – a symbol of my dedication to share my quirky loves with all of you. 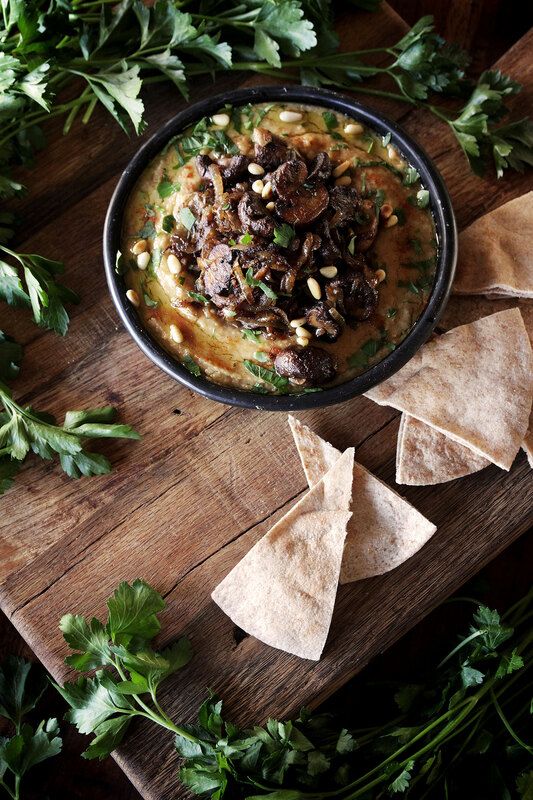 Thankfully, warm hummus with spiced mushrooms is just such a dish. It might not be for everyone, but for those who are willing to indulge? It’s a wholesome and comforting affair. 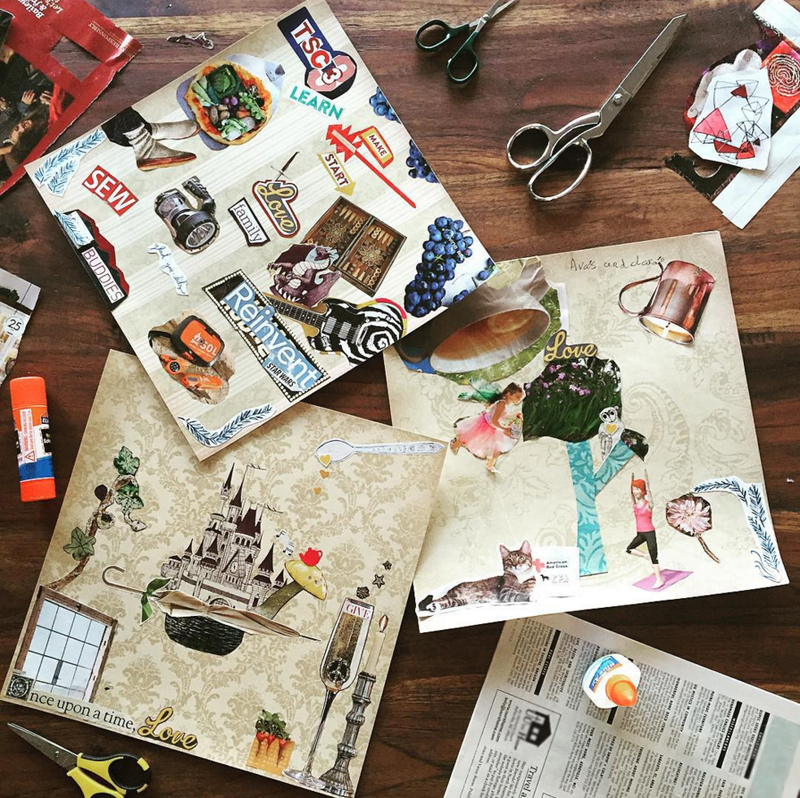 Moving counter clockwise from the top: Vision Boards made by Keith, Ava, and me. The first step is to get that hummus warm. Spread a thick layer of hummus in a shallow, oven safe dish and use the back of a spoon to create a cavity. You can make your own Lemon Garlic Hummus, or use prepared hummus if you… can’t. wait. another. minute. Did you know that grocers in the Middle East sell canned hummus to keep on hand for last minute meals? It’s better than the refrigerator stuff because you don’t need to add a bunch of junk to the hummus to preserve it, plus hummus is best served at room temperature or warm. Apparently we’re finally wising up in the USA – Sager Creek now offers small batch, kettle cooked Hummus for easy entertaining. Whatever hummus you choose, drizzle generously with olive oil, cover with foil, and pop the whole shebang in the oven for a few minutes. Easy peasy. While the hummus is warming up, saute the onion and mushrooms in several glugs of olive oil (the more the better), along with some cumin and hot paprika. It’ll take a good 20-30 minutes to caramelize the onion and brown the mushroom. Full disclosure: While the onion and mushroom slip into acquiescence, the most ridiculous scents will perfume your home. Good luck not sneaking one (or five) of those mushrooms from the pan before you ever sit down to eat. 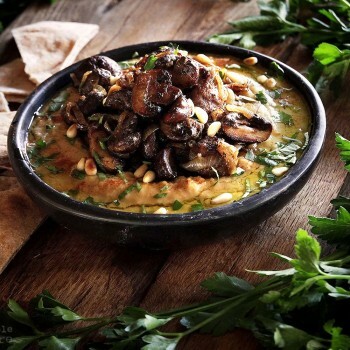 Load the hot hummus with the mushrooms and garnish with pine nuts, parsley, and paprika. Drizzle on a little more olive oil if desired – it gives the finished dip unmistakable richness. Enjoy immediately with pita bread. The garlic, cumin, and paprika come together with the mushrooms’ umami and the onion’s sweetness to form a wild, hearty riff on hummus. Whether you keep your ingredients separate or stir them all together, one thing is certain: this dip will not soon be forgotten. 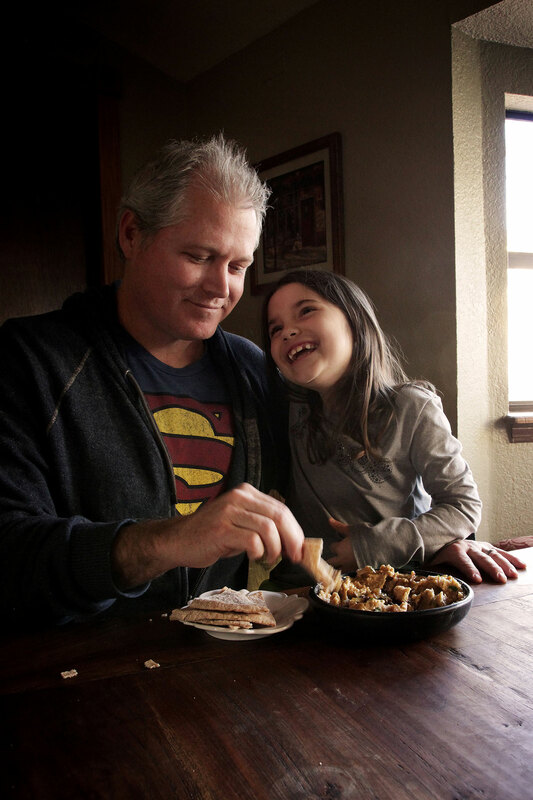 I went nuts for the mushrooms, while Ava went nuts for the… pine nuts. Enjoy with a view of Israel’s stunning mountains, wherever you are. Perhaps in the company of a friendly goat. 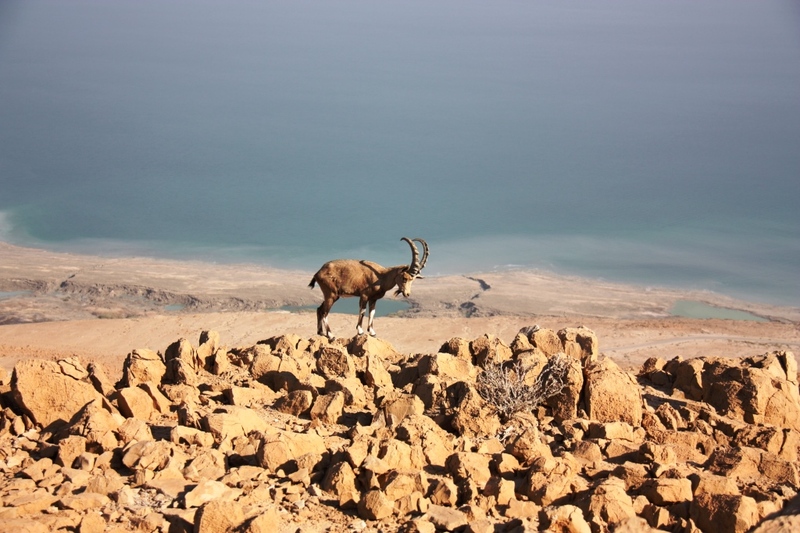 Israeli mountain goat by Sigal Ben Amram. This post in partnership with Sager Creek Vegetable Company. Loaded hummus is an Israeli favorite. This mushroom version is hearty enough to make a light meal for 2 people (serve with a salad on the side), or an appetizer for 4 or more folks. I love it on a cold winter's day. Preheat the oven to 350F. 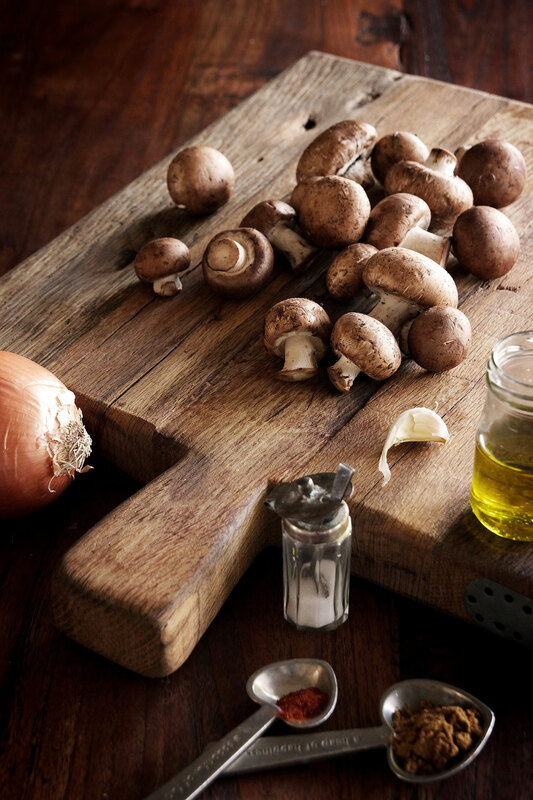 Meanwhile, prep all the ingredients - wipe down the mushrooms and halve them (large ones may need to be quartered), slice the onion thinly, and toast the pine nuts in a dry skillet over medium heat until golden brown. 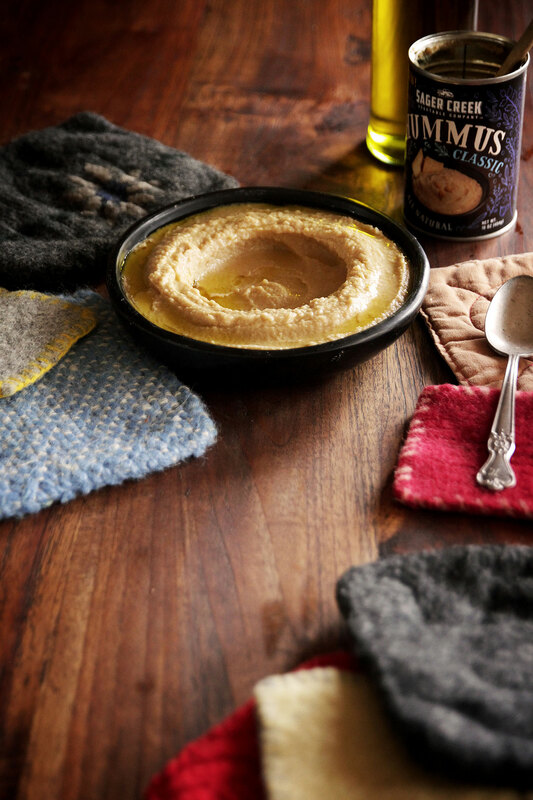 Place the hummus in an oven-safe baking dish or shallow bowl. Drizzle with olive oil and cover with foil. Bake for about 15 minutes. Turn off the heat and leave in the oven until needed. Meanwhile, saute onion in 1/4 cup olive oil over medium heat for about 10 minutes or until softened. Add the chopped garlic and sliced mushrooms and continue cooking until the mushrooms are tender and the onion is very soft - a good 10-15 minutes. 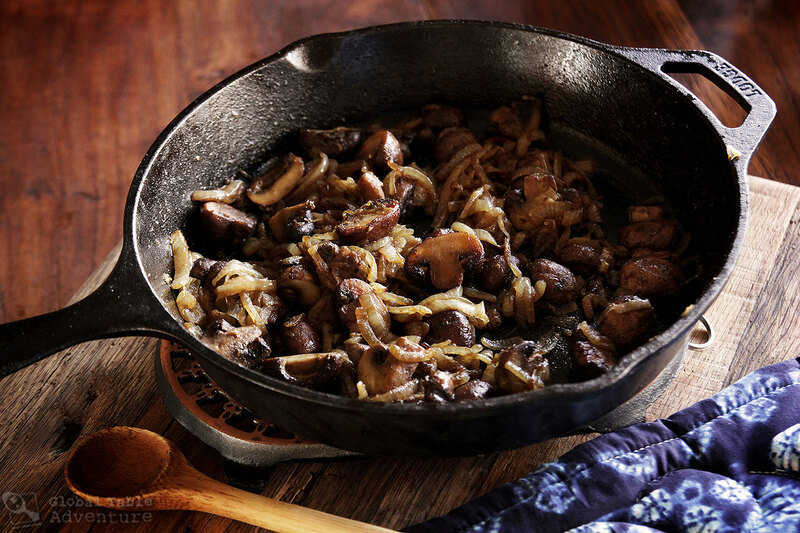 I like it best after 15 minutes as this gives the onion time to caramelize and the mushrooms become very browned. 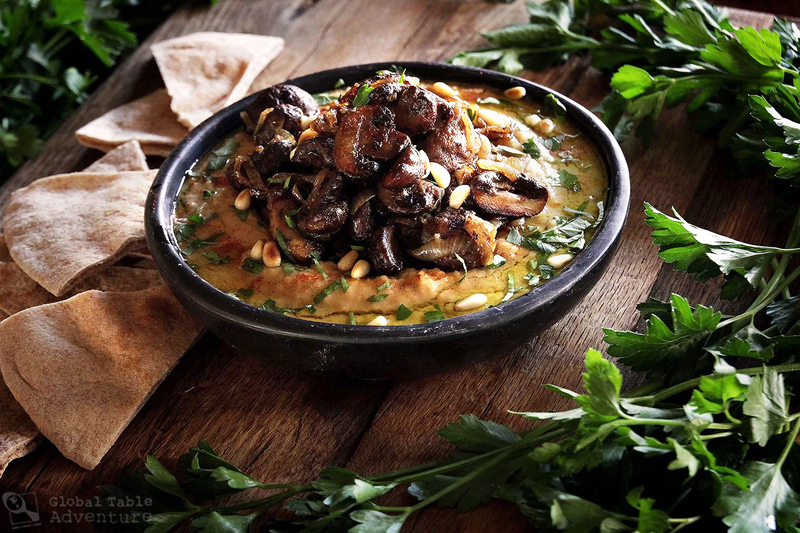 Pile the mushroom mixture into the hummus, garnish as desired, and serve hot with pita bread. Beautiful post. I absolutely love hummus with ground lamb, olive oil, and toasted almonds but I’m definitely going to try this. By the way, I’ve had a similar encounter with a galette des rois, and my oven caught on fire… Yikes. I can’t wait to try this. I LOVE hummus, one of my greatest discoveries while trying foreign foods! I enjoy it in sandwiches with grilled zucchini, bell pepper and mushroom, but I’d have never thought to eat hot hummus. It looks amazing in the pics. We have loved this for the last 2 days! So very delish. I made my own hummus, & otherwise followed all the directions — maybe doubled the toasted pine nuts. Thank you, Sasha!! Gosh you always make me hungry Sasha. Not a big fan of hummus, but this looks so good. Oh my goodness does it look good. Guess the way it made is what a makes difference. Love the warm hummus idea. I have switched to Hungarian Paprika, both the sweet and hot variety. It is miles ahead of the Paprika we get herein the US. Usually a Romanian, Hungarian store or any East European store has it. Hungarian Paprika really is lovely – especially if used as a garnish! What a wonderful recipe and warm, inviting blog! 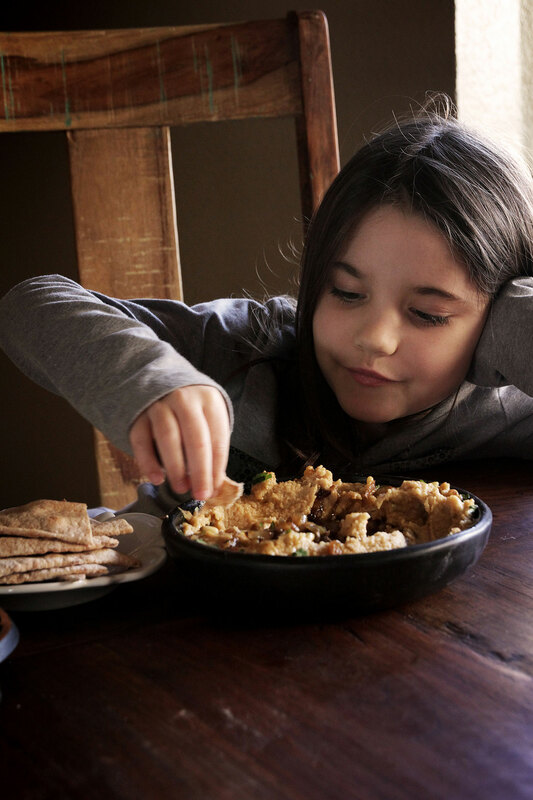 We recently tried mushroom hummus too but with Black Gram instead of chickpeas.